The CBS hit show, Blue Bloods, manages to do something that rarely works in an episonic television series. The show blends two very distinctive genres and manages to dedicate an equal amount of time to both, without sacrificing quality. 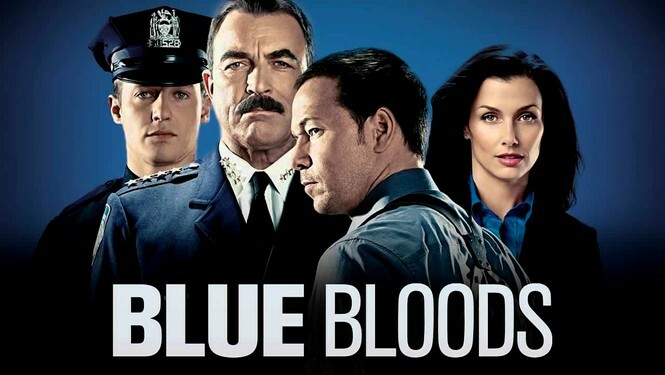 Yes, Blue Bloods is an action packed cop show, but it is also a compelling and touching family drama. For sixty years, the Reagan family has dedicated itself to a life of civil service. It all started with Henry Reagan (Len Cariou) who worked his way up from a beat cop to the New York City Police Commissioner, a job his son, Frank (Tom Selleck) would eventually inherit. Frank's three kids are also heavily involved in the protection of New York City, as his son Danny (Donnie Wahlberg), is a major case detective, his other son, Jamie (Will Estes), is a rookie officer, and his daughter, Erin (Bridget Moynahan), is an assistant district attorney. Each week the Reagan's are faced with combating crime in New York City and every Sunday, they take their work home with them, and work out their issues over family dinner. The dinner is as important to each episode as the cases themselves. The family often touches on sensitive issues, and are divided on what the outcomes should be. Tom Selleck stars as Police Commissioner, Frank Reagan, and brings to the role over thirty years of experience playing a cop. Frank isn't Magnum P.I. or Jesse Stone, but Selleck has the experiences of being both those men, and he brings aspects of their personalities into this new role. The other star of the show is Donnie Wahlberg, who while not as good looking as his brother, is much more experienced at playing a detective than Mark is. Donnie has been a cop on more than one occasion, most notably in the Saw franchise, and he gives one of the most believable and accurate portrayals of a detective, that I have ever seen. Blue Bloods has all the action and drama of any cop show on TV, but it also has a soft, touching, family side to it as well. The cast is as experienced as it gets, and every episode prominently features every Reagan, dealing with their own issues on and off the job. It is as original as any cop show to come along in the last fifteen years, and needless to say I am hooked and highly recommend it.